Enjoy! Yes, there is no waiting for an elevator or climbing stairs! 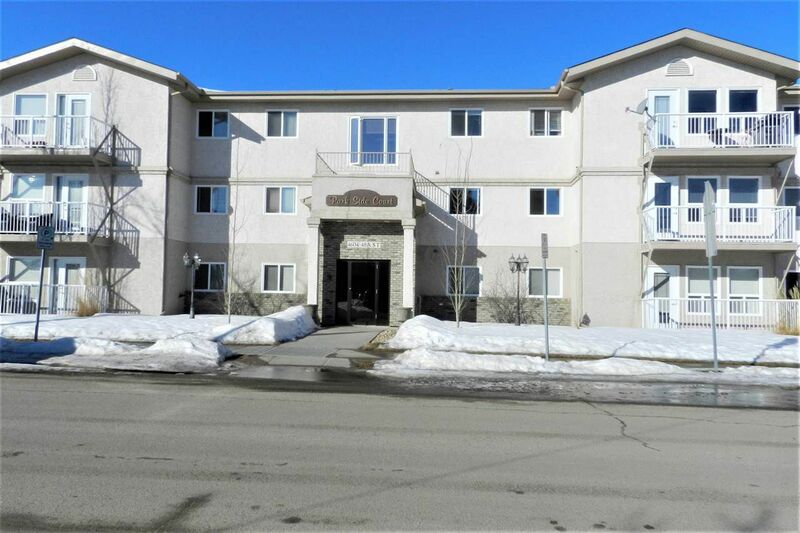 This is main floor condo living conveniently located within walking distance of downtown, the library, movie theatre, Maclab Centre for the Performing Arts, Hospital, etc.. Gleaming high quality upgraded laminate runs throughout the hallway, living, dining, kitchen and sunroom areas; you'll love this open floorplan. Spacious, inviting and featuring a gas fireplace, the living area opens to the bright and cozy sunroom. Plenty of solid oak cabinets, lots of counterspace including a peninsula with breakfast bar, overfridge cabinet with vertical dividers highlight the kitchen. The two bedrooms are a good size, there is a four piece bathroom and two very spacious storage rooms, two linen closets, a huge front entry coat closet for tons of storage. Age restriction is for ages 25 plus, pets are subject to condo board approval. A Bright and welcoming home, you'll want to call your own!! !